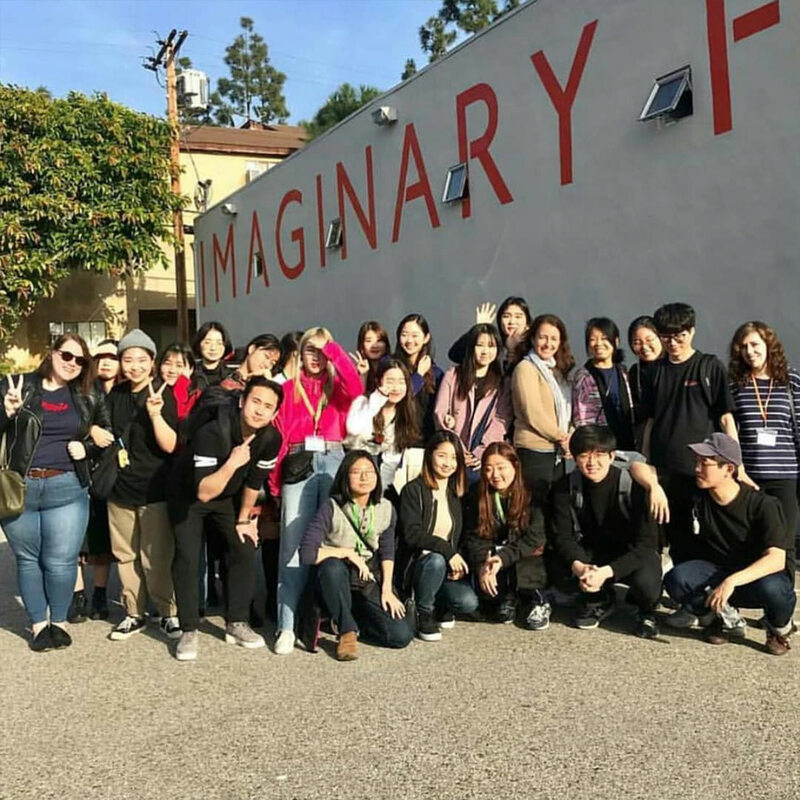 20 students from Hongik University in South Korea visited California Institute of the Arts for an intensive 3 week motion design workshop taught by Michael Worthington, Carsten Becker, Jaime van Wart, and John Robson. The workshop culminated with a screening of all their pieces, open to the entire school and the public, at the CalArts Bijou Theatre. 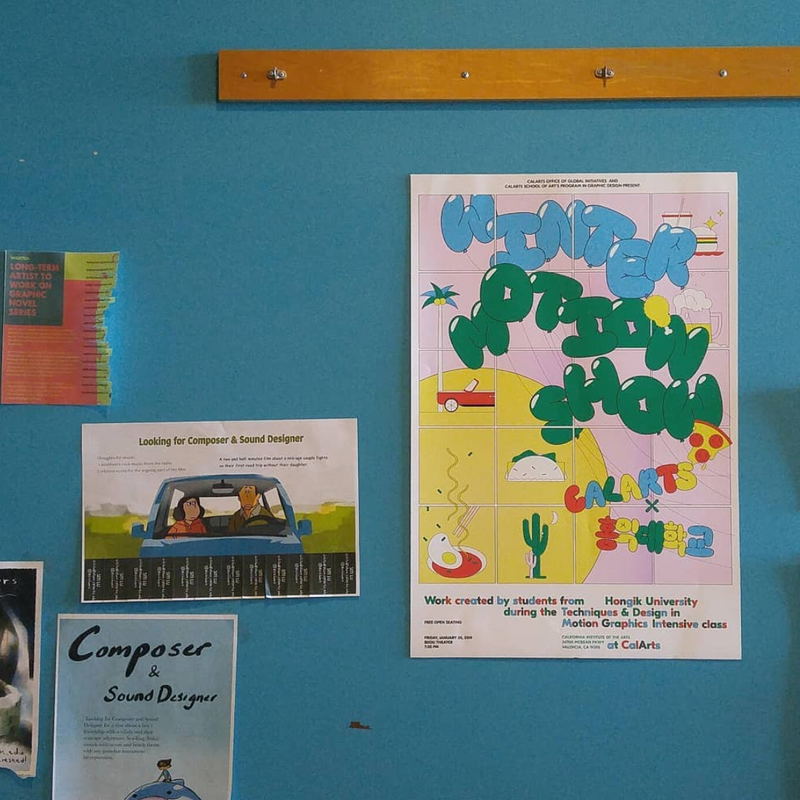 This is the show package for the event created in 8 days by CalArts graphic design students: Sam Jones, Huicheng Wu, Xiyu Deng, and Alexander Cheng. Show package consists of a poster, opening title, 24 animated gifs, 20 animated student title cards, and an end title. Our concept was to show something uplifting and fun that would bring out the students personalities—using iconography that represented their experiences coming from South Korea to Los Angeles. 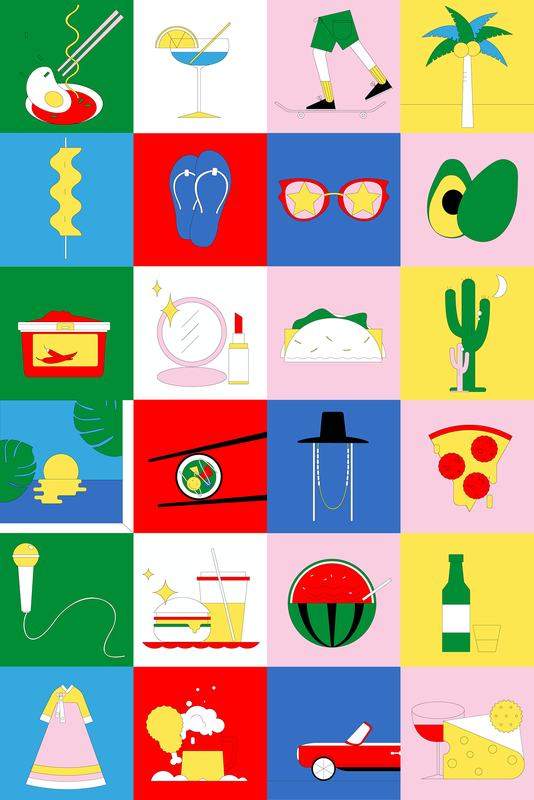 We also wanted to illustrate how even during winter, LA is still sunny and full of color. Each student was filmed separately performing an action, and then the raw footage was mixed with the animated gifs to create their individual animated student cards, which were then placed before each students' motion piece. Show Package for the CalArts and Hongik University annual Winter Motion Show. 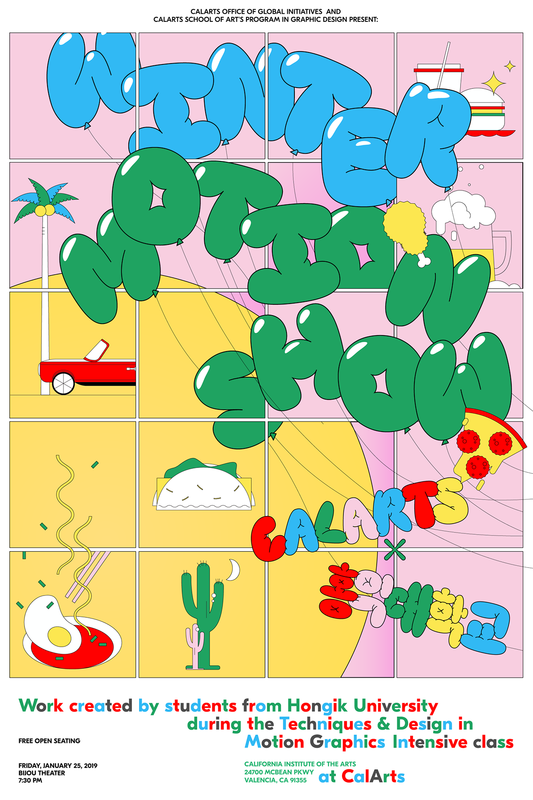 20 students from Hongik University visit CalArts for an intensive motion design workshop taught by Michael Worthington, Carsten Becker, Jaime van Wart, and John Robson. The workshop culminated with a screening of all their pieces, open to the entire school and the public, at CalArts' Bijou Theatre. Show package consists of a poster, opening title, 24 animated gifs, 20 animated student title cards, and end title.